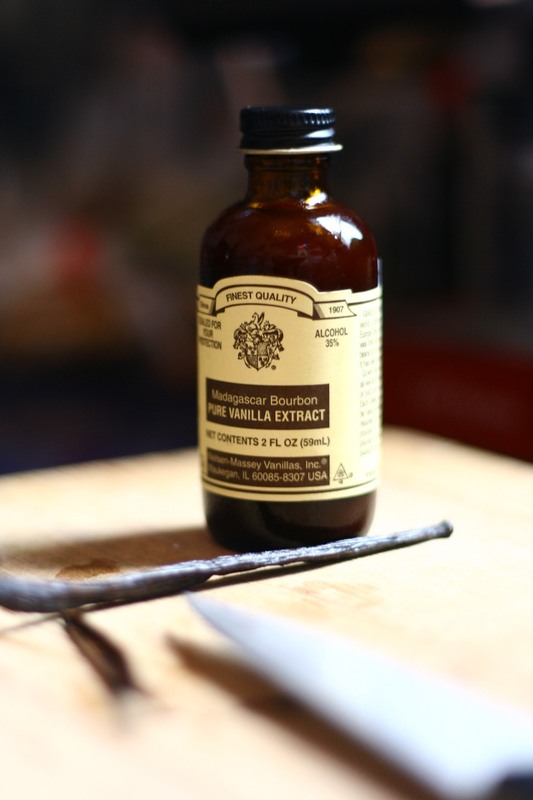 Nielsen-Massey sent me a bottle of their Madagascar Bourbon pure vanilla extract to review. The vanilla has a nice strong flavor and I added a couple drops to my oatmeal and it tasted great! This vanilla even won some awards recently! The company describes the flavor as creamy, sweet, and velvety. You can tell that this product is very high quality. I would also love to try the pure peppermint extract that the company sells! It sounds awesome. You can buy these products from different specialty stores such as Williams and Sonoma, Sur La Table, and Stonewall Kitchen. The giveaway will be for one bottle of Nielsen-Massey Pure Vanilla Extract. The giveaway is open until Midnight on Monday January 17th. Winner will be chosen on Tuesday January 18th using Random.org. Tell me which recipe you most love to use vanilla extract in! I like to use vanilla in my fruit and nut muffins. I use vanilla in so many things that it's hard to even come up with one. I put a large amount in my pancakes and they are incredible. I like to use vanilla in bread pudding, it's one of my favorites. Bread Pudding is one of my favorite dessert to make with Vanilla. I love vanilla in my scone recipe! I like to use Vanilla Extract in Rice Pudding. I would use it in banana cake !! I love to use vanilla in my French Toast Recipe! I use vanilla in my chocolate chip pancakes - Yum! I entered Forever Lily Perfuming Lotion Giveaway. I love to use it when making french toast. Thanks for the review and giveaway! I entered your body lotion giveaway! something that shows off the glorious flavours of vanilla - like a pure vanilla ice cream, boosted with vanilla seeds, or ... i'm dreaming of a vanilla white chocolate truffle. I love to use it in creme brulee!